Often when using VPN services many of us like to take the quickest and easiest route. Luckily most VPN providers offer custom software that removes any of the hassles of set-up and allows us to get connected with minimal fuss. OpenVPN is by far the most popular and best choice for VPN use on a Windows system and although it may sound complicated to set it up manually it actually isn’t. 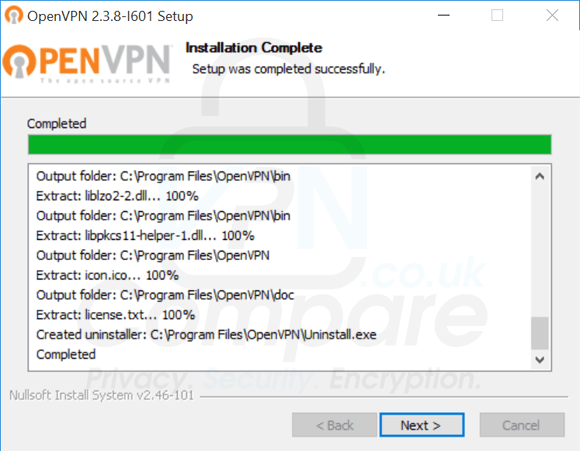 There are benefits to using a provider’s custom Windows VPN software, but there are also benefits to setting up OpenVPN on Windows 10 yourself. Firstly you know what is being installed, that is not to say that custom VPN software is untrustworthy but by installing OpenVPN directly you don’t have to deal with some of the bloatware that can come with a provider’s software. Often extra software requires additional tools to be installed on your system so doing it directly avoids this added clutter. Another good reason for installing OpenVPN on Windows 10 directly is it allows you the freedom to use more than one VPN provider via the one interface. Once OpenVPN is installed you can add configuration files from a range of providers and access them all from within the one interface… try asking a VPN provider if you can access another provider’s servers via their software. Finally, the achievement of setting it up yourself is rewarding and gives you a better insight into the behind the scenes working of OpenVPN and when you discover how easy it is you’ll be rather surprised. So without further ado let’s install OpenVPN on Windows 10 by following my step-by-step guide below. If you’re looking for a VPN provider for Windows 10 follow the green link below. 1. Visit the OpenVPN Downloads page. 2. You have two options, a 32-bit version of OpenVPN and a 64-bit version. 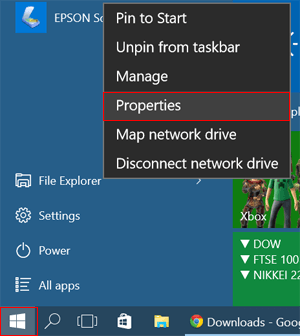 If you don’t know what type of system you have left click on the Windows icon then right click on File Explorer and then left click Properties. Under System type it will display what bit system you have. 3. 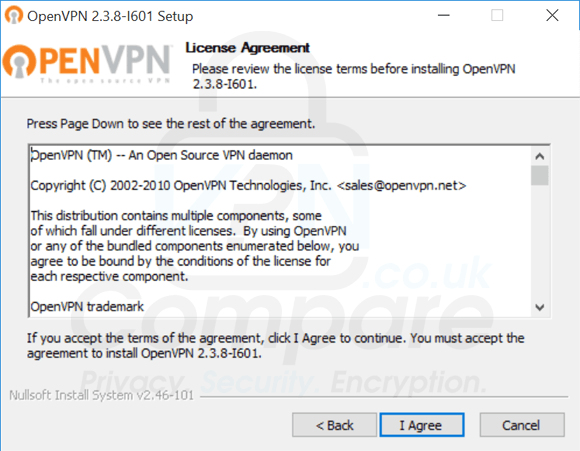 Download the correct version of OpenVPN for your system. I like to download to the Desktop just for easy access, but you can download the installation file anywhere. 4. Double click on the OpenVPN installer icon on your desktop or at the location you downloaded to. 5. A notice asking Do you want to allow this app to make changes to your PC will be displayed. Click Yes. 6. On the first installation screen click Next >. If you wish to read through the license agreement do so and then click I Agree. 8. You will be given a Destination Folder of where OpenVPN will install, for most people this can be left but if you want to alter the location then feel free. Press Install. 9. The installation process will take place, once Completed press Next >. 10. Deselect Show Readme unless you wish to view it and then press Finish. OpenVPN is now installed. You can now delete the installation file and should have a new desktop icon called OpenVPN GUI. The next stage is to add your VPN provider’s configuration files. These can usually be found in your welcome email, on the main website of the provider or in their user account area. As an example, I am using IPVanish but the process apart from the website location of the files will be identical. 1. Download the OpenVPN configuration files from your VPN provider. With IPVanish they are located on their website under VPN Software > Windows > Windows 10 > Windows 10 OpenVPN Setup > View Tutorial. Then click “2. Download the OpenVPN configuration files from our website”. Save the files to Desktop for easy access. 2. Double click the configs.zip file that downloaded which will open in a new window. 3. You now have a full list of servers each in individual files. Select the server or servers you wish to install into OpenVPN AND the .crt file if available. With IPVanish this is called ca.ipvanish.com.crt. Press right mouse button and Copy. 4. Now locate the OpenVPN directory and inside the Config folder. Unless you altered the installation directory this should be located in C:\Windows\Program Files\OpenVPN\config\. 5. Press right mouse button in the folder and press Paste. 6. You can now run OpenVPN from the desktop by double clicking its icon. You will be asked if you want to allow the app to make changes to your PC. Select Yes. You will need to do this every time you run OpenVPN. 7. A small icon will appear in the notification area that looks like a computer monitor with a padlock. 8. Press right mouse button on this and here you will see the configuration file you copied. Hover above it and press Connect. 9. You’re likely to be prompted to enter your login and password. That’s all there is to it, the connection process will take place and you’ll be notified when connected. The notification icon will turn green. To disconnect simply right click on this icon, locate the configuration file, hover above it and press Disconnect. If you would like to learn how to permanently store your password so you don’t have to enter it every time read my earlier guide. If you’re looking for the Best VPN for Windows 10 follow the link below.